Someone, perhaps even just a single person under several aliases, is trying to smear Thom's good name, in an effort to make him look like a bad person. This can be witnessed in the Amazon reviews of this book. I watched a talk on YouTube with Thom, and liked his genuine style and way of thinking. To me, he comes across as a soft, well-intentioned guy. Perhaps the smear-campaign is by someone who's a less good guy, somehow being offended by Thom's humane way of relating to his work and colleagues. As you can read in the book, Thom is an honest guy, not afraid of saying he's a sentimental dude who can cry tears, get annoyed by socks crumbling up in his boots during operations, and such. The book has also gotten some criticism for being poorly edited, lacking flow. I disagree with that. I was reluctant to get the book, as I like well-written, well-edited books as much as any other book aficionado. I'm glad I did get it! It's well-written, well-structured, and one of those books I felt like relistening to, as soon as it ended. For me it was a real page-turner. It's also unique in how it also features occasional writings by her wife. 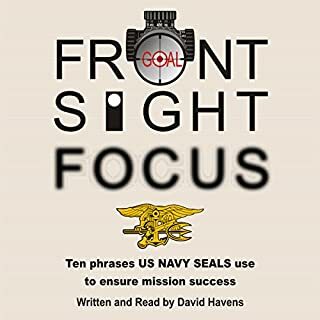 It's a book not just about being a SEAL, but also living in a relationship, dependency on your partner, supporting each other, as well as an overall theme on being mindful and deliberate about the thoughts you think, and the way you talk to yourself. All stuff right down my alley. Overall, the content in the book speaks VOLUMES about Thom's sincerity and wamth as a person, with high probability-rate putting my money on Thom rather than those (or that) poor detractor(s) who are trying to put him and this book down. I listened to this twice in about 30 to 45 days time. 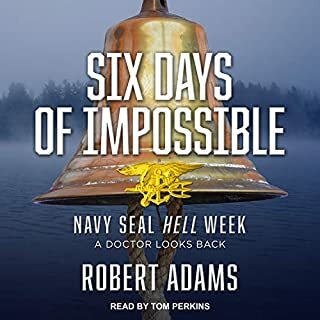 I just finished it and could listen again shortly I bet. 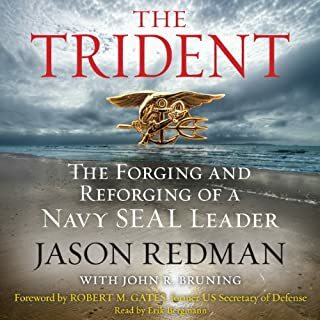 This is not your normal navy seal book about BUD'S and a few missions. This is basically a diary with heartfelt guidance for his kids that translates to all of us. it's about family and what it takes to be strong and not let your inner voice get you down. 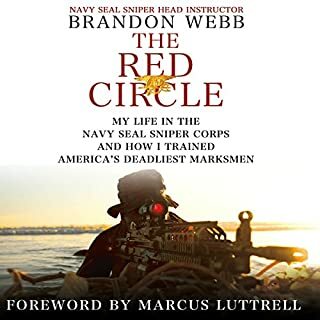 Thank you for your service and for sharing this book with us Mr. Shea. 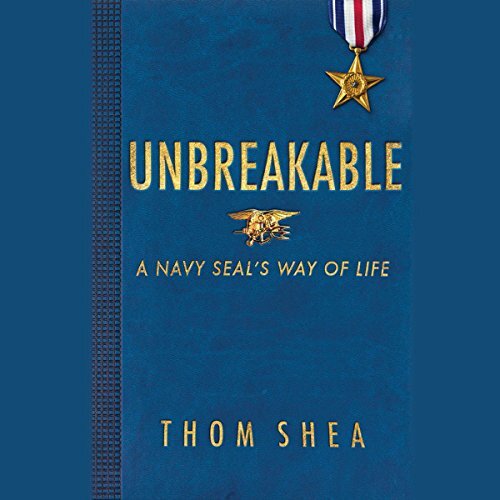 Where does Unbreakable rank among all the audiobooks you’ve listened to so far? I just had the privilege to meet Thom in person while participating in his challenge. It was an honor to meet this author in person and hear his amazing first hand account stories. His passion for helping others achieve greatness in themselves is absolutely inspiring. Thank you for helping me add more tools to my quest for self discovery. Cheers Greg M.
Great book, couldn't put it down . Engaging, practical, and fascinating. Thank God for all our SEALs...theyre amazing men who do unbelievable things. I learned a lot from this book and I'm already implementing changes in my life based on it. Hooyah! Thumbs up with respect and appreciation. Thank you for the motivation, stories and life lessons. Gives me a boost towards my own goals and life journey. Great Book! worth the read. Loved this book. Found myself making time to finish it. Will be starting his exercises soon. I thoroughly enjoyed the story and characters. Most of all, I am great full of the point of the book and his insight. As ridiculous as it sounds, I feel like a door has opened in my mind! I will keep this book in my library as a tool when I feel I have any struggles in life. 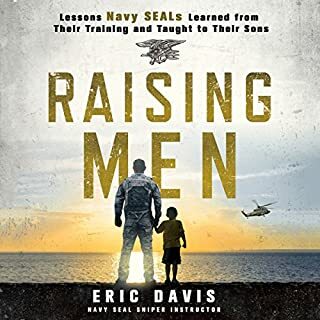 this book truly developed me as a soldier and as a future special forces soldier. very easy to understand and execute. 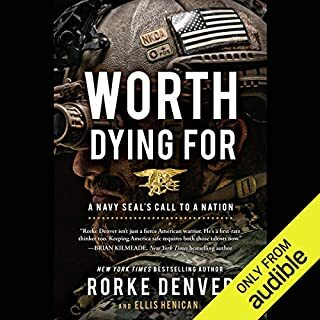 Easily one of the best books I've listened to on Audible. Tons to learn from this book.